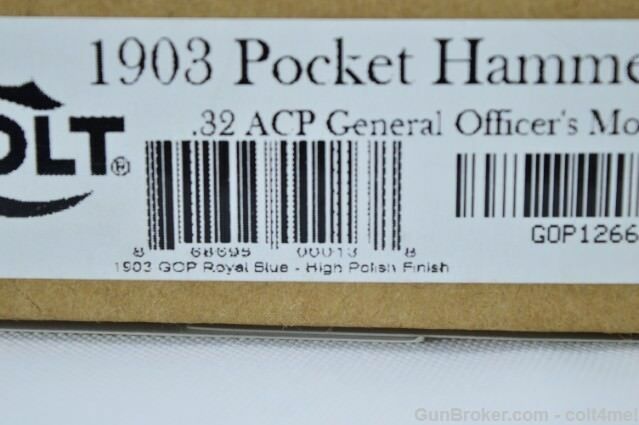 I just purchased a NIB Colt 1903 Hammerless .32ACP General Officers Pistol. It is a high polished royal blue finish. Now the wait begins for my FFL to receive it. Nice looking pistol! I have my grandfather's, (made in 1911) but it's not near as nice as yours! Beautiful pistol. One of my favorite designs of all times. Though I'll doubt you'll shoot this example, they are incredibly accurate, even with their tiny sights. Congrats. That is beautiful! The only new ones I've seen were parkerized. Colt has the Parkerized version, blue version, and the high polished blue version. I do not like the Parkerized version. Why they offer that version, I do not know. 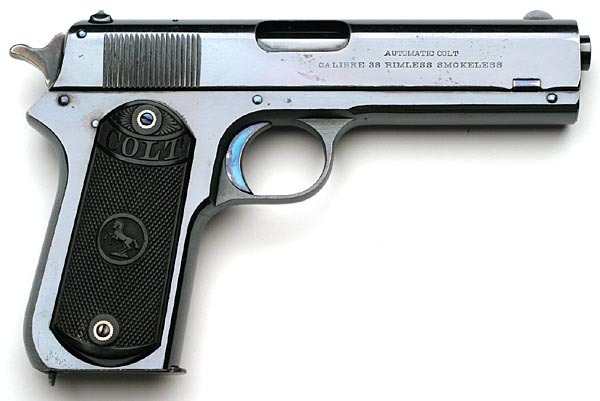 Because the original military contract Colt 1903s issued to U.S. Army General Officers from the 1940s through 1970s were also produced in both blued and parkerized versions. I've got an old one. Nifty little guns. Patton carried one of these. I believe in .380 carried next to his package. 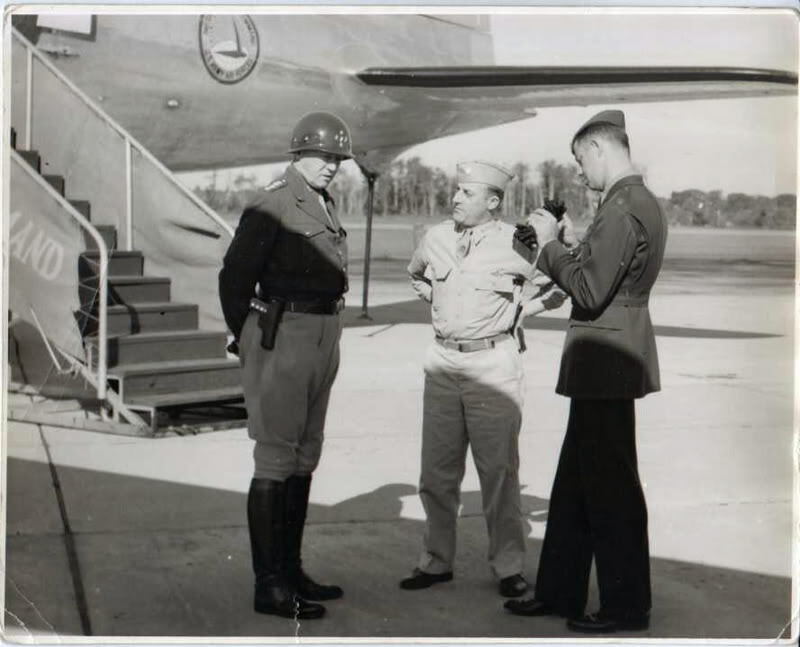 Patton's was in .380. 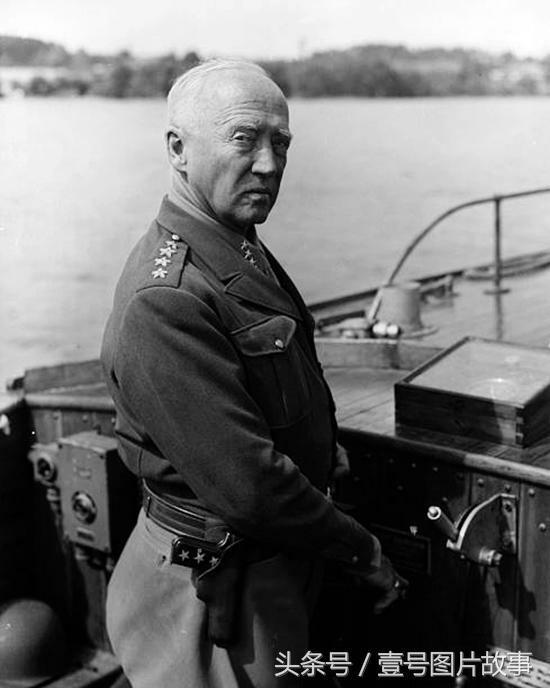 It was issued to him in August 1944, and he had custom grips made for it, inlaid with general's stars - originally 3, and later 4. They were in quite a lot of the movies of the '30s. 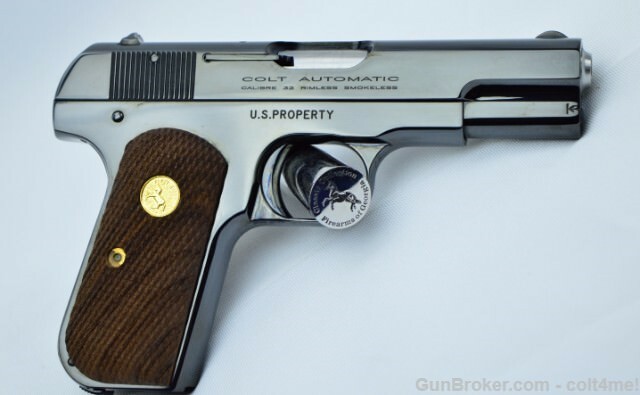 Any time that some crook (Bogart, Cagney) pulled a pistol from his pocket, it was an '03 or '08 hammerless. To me, they are a wonderful CCW weapon, except for being SA. I am very paranoid of carrying around a cocked pistol with the only thing between me and disaster is a safety lever. It’s not hammerless. The hammer is internal. Hickock45 just did a video on this gun and field stripped it to show the hammer. To me, they are a wonderful CCW weapon, except for being SA. I am very paranoid of carrying around a cocked pistol with the only thing between me and disaster is a safety lever. 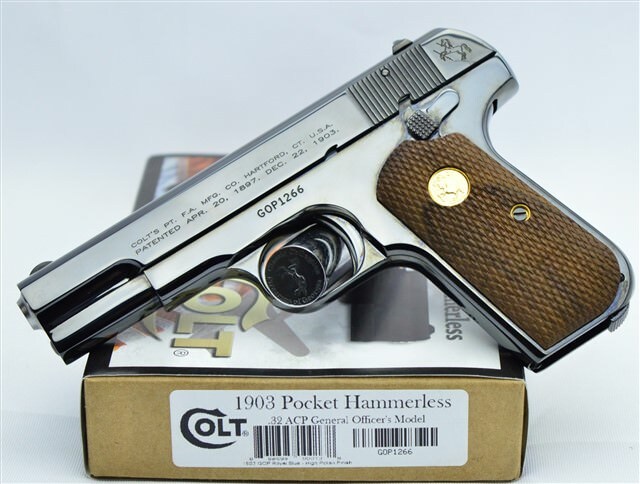 Right, but that's still the model name: "Colt Model 1903 Pocket Hammerless"
Right, but that's still the model name: "Colt 1903 Pocket Hammerless"
Yup, more of a marketing thing than anything else. It was also to differentiate it from the similarly-named "Colt Model 1903 Pocket Hammer", which was a different design which had an exposed hammer. If you haven't looked here yet, it's fun to take a look at the advertisements, production dates, one-offs, etc.